David Nagler, Dr. Bruns, the NP101is used for the experiment, and Al Nagler. 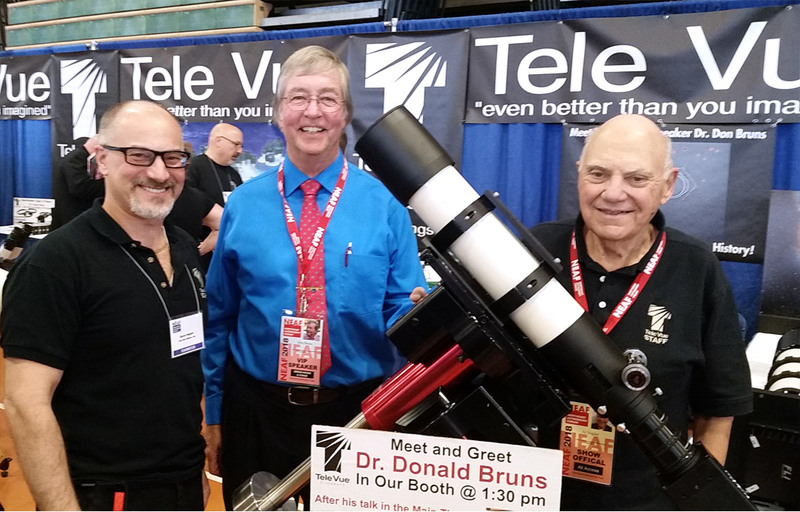 We were honored that Northeast Astronomy Forum (NEAF) speaker Dr. Donald Bruns was able to visit in our booth over the two days of NEAF 2018. Saturday, April 21, at noon, Dr. Bruns stepped onto main stage at NEAF in front of a standing room only audience. His talk was titled: Einstein was Right! Completing the 1919 Relativity Experiment at the 2017 Solar Eclipse. 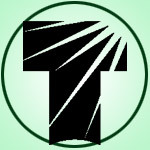 Over the better part of an hour he explained how Einstein’s General Theory of relativity predicted the bending of light in gravitational fields and how astronomers have attempted to photograph stars near the eclipsed sun to verify the theory.